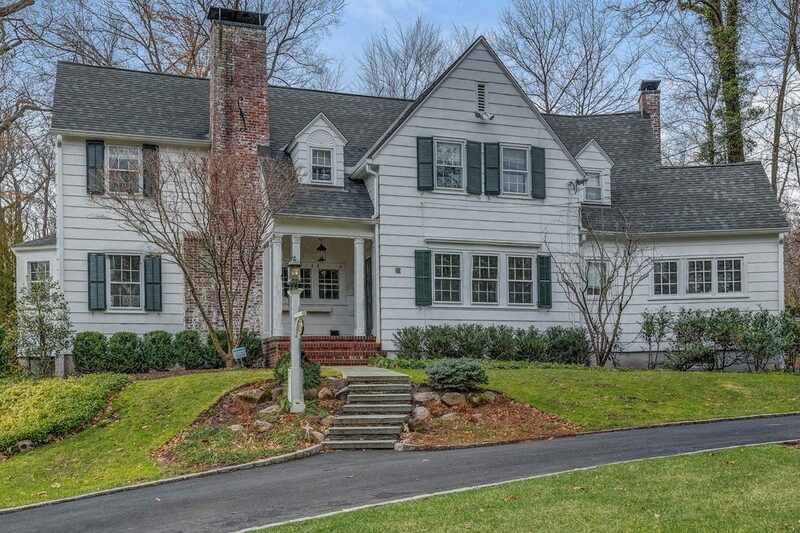 Mint condition south facing Colonial with great natural light ideally located on huge .77 acre lot on a quiet street in Hartshorn Elementary School district, walking distance to Hartshorn Elementary School (.5 miles) and the Short Hills Train Station (.9 miles)! 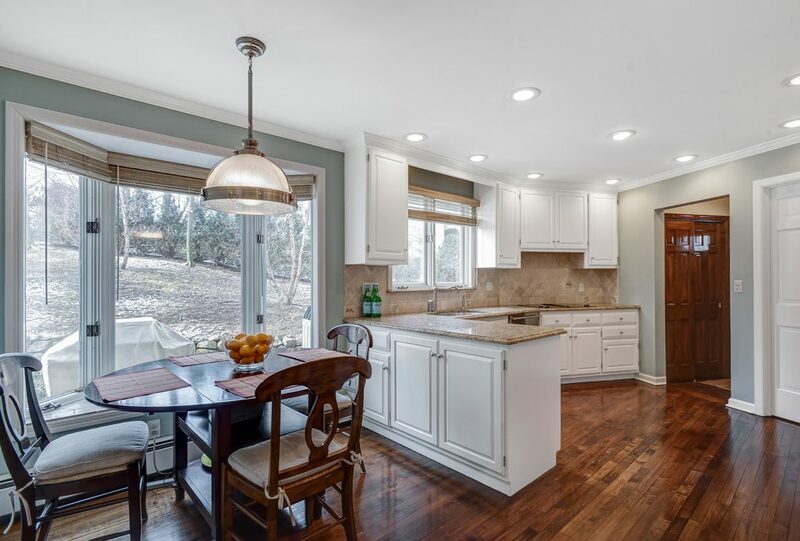 The first level features a gourmet eat-in kitchen with stainless steel appliances, convenient first floor laundry, and a new sunroom with radiant heated floors and thermal French doors that open to bluestone patio, heated cabin and spectacular property. 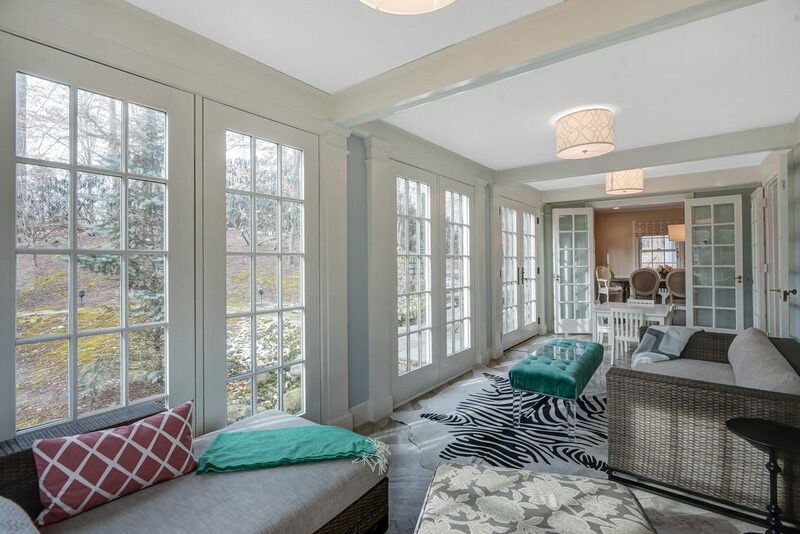 There’s a huge family room with a wood-burning fireplace, wired for a flat screen TV, and a stunning wood paneled library with gas fireplace with heat-o-lator. 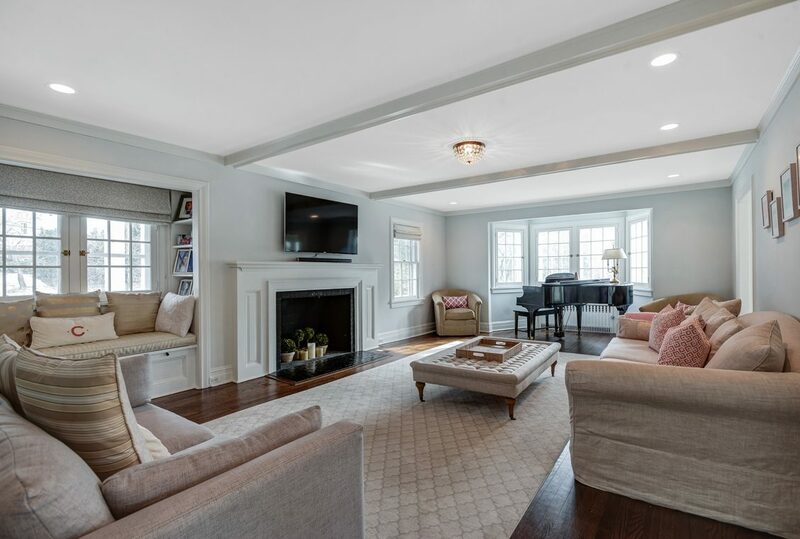 The second level features a luxurious master suite with huge his and her walk-in closets and a new spa-like bath with radiant heated floors, air jet jacuzzi, shower, Toto commode and a double vanity. 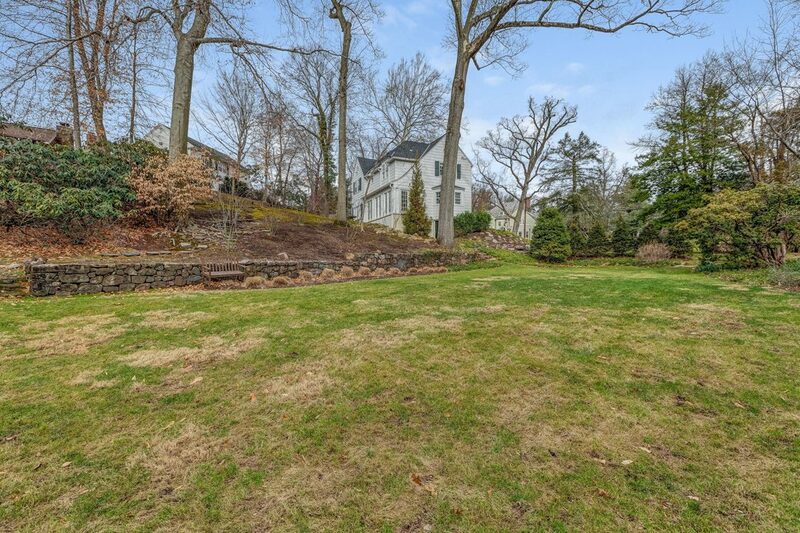 There are 3 additional bedrooms, each with a new bathroom. 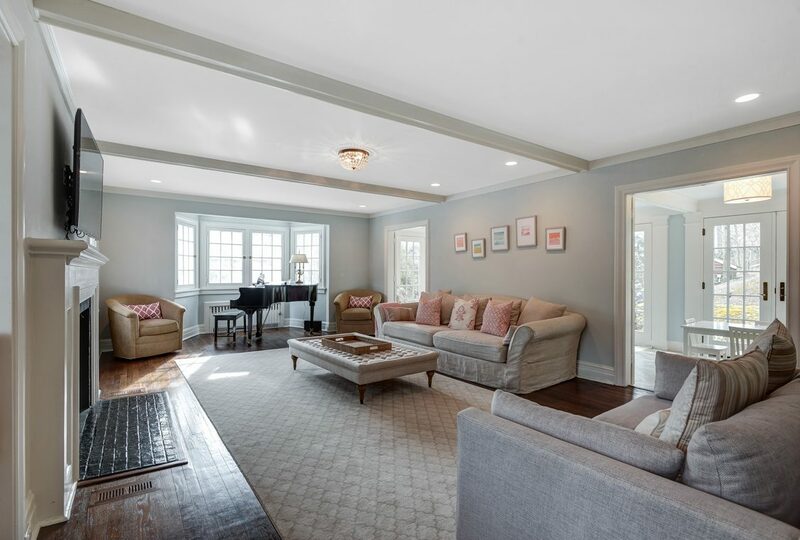 The beautifully finished lower level features a recreation room and access to 2-car attached garage. 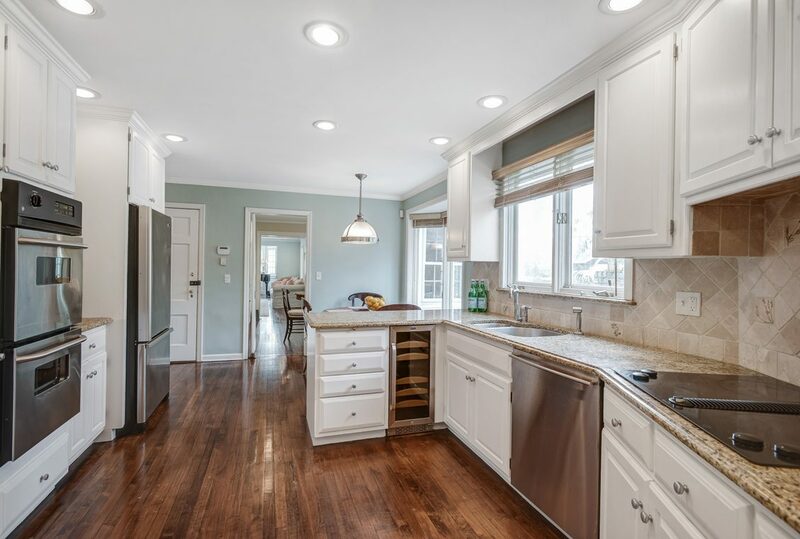 Many improvements including a new furnace, new central air conditioning, a new gas hot water heater, new landscaping, new driveway, entire interior & exterior newly painted, hardwood floors refinished and much more! 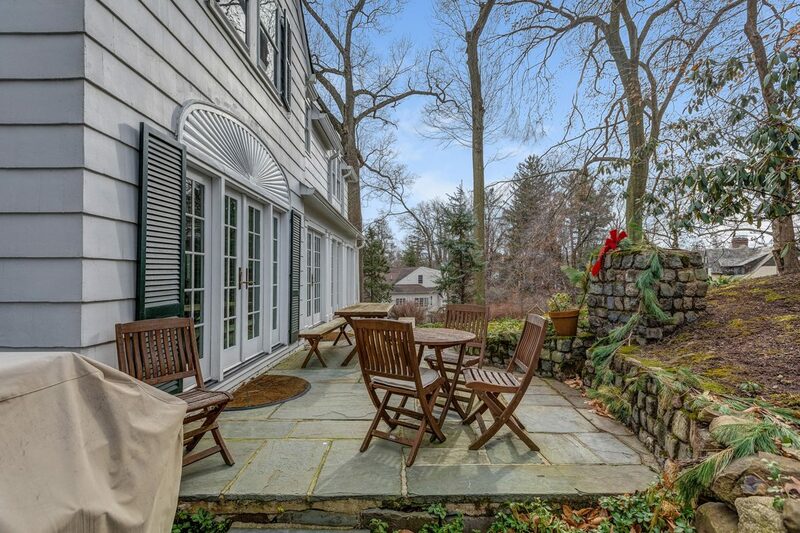 This stunning home in the ideal Short Hills location has been immaculately kept and renovated to perfection! Entrance Hall: chandelier, hardwood floors, hall closet. 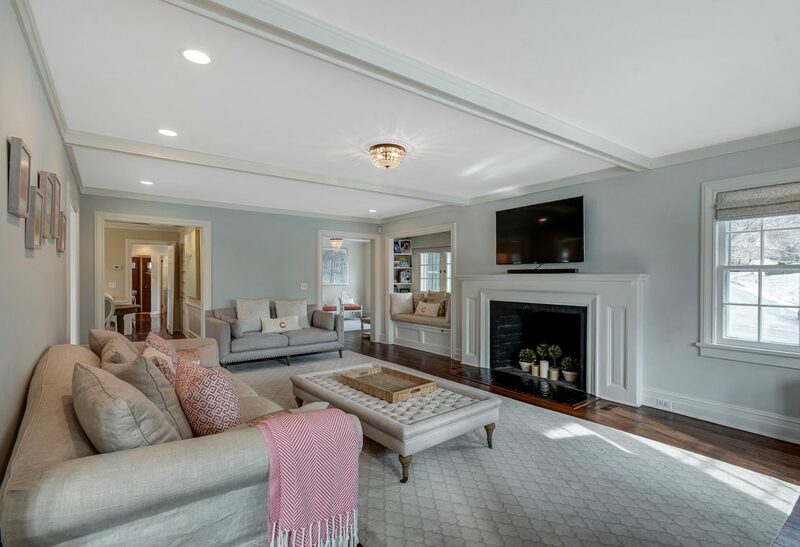 Family Room: wood-burning fireplace, recessed lights, hardwood floors, wired for flat screen TV, window seat with bookshelves, light fixture. 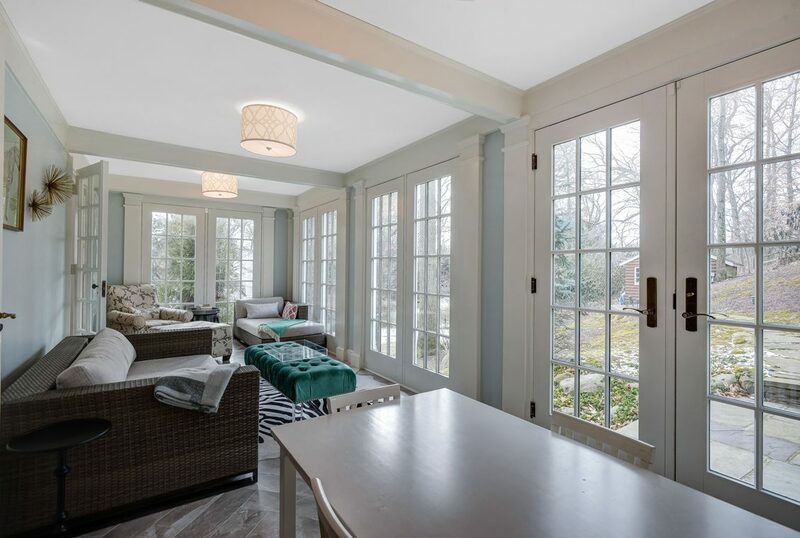 New Sunroom: radiant heated floors, 3 light fixtures, all new thermal French doors that open to the bluestone patio. 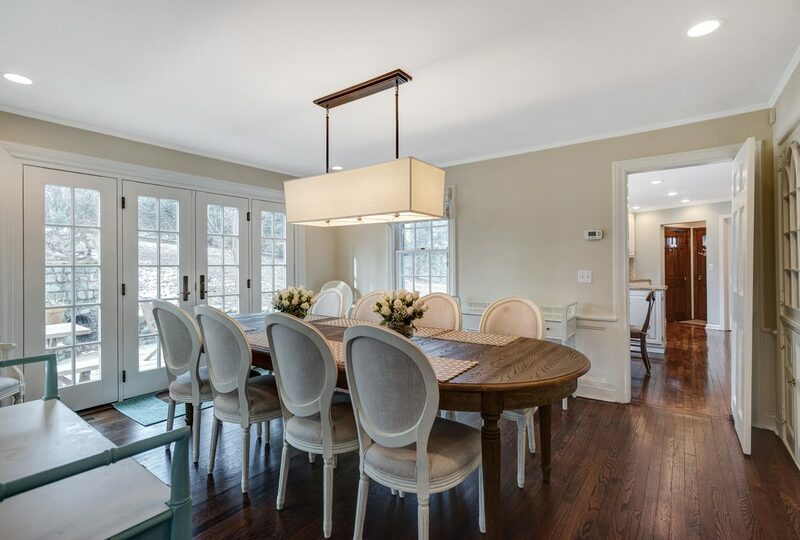 Dining Room: light fixture on dimmer switch, recessed lighting, chair rail, 2 china closets, new French door open to bluestone patio with BBQ (has gas line) and outdoor fireplace. Gourmet Eat-in Kitchen: granite countertops and floor to ceiling white wood cabinetry, Jenn Air 4 burner electric cooktop, GE double ovens, insinkerator, dishwasher, window over sink overlooking the backyard, great natural light from 3 additional windows, hardwood floors, Magic Chef microwave, recessed lights, light fixture, double closet. Laundry Room: Kenmore Elite washer & dryer, window, recessed lights. 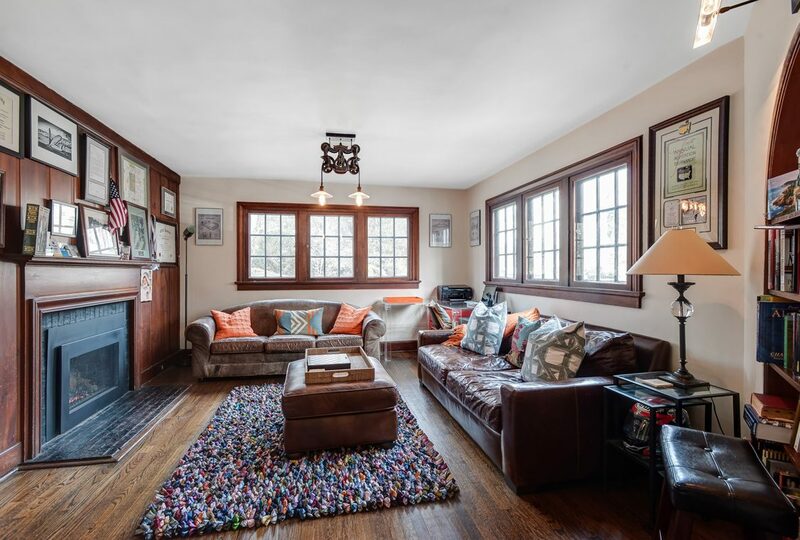 Stunning Wood-Paneled Library: gas fireplace with heat-o-lator, 6 windows, 2 arched bookcases with lighting, light fixture. Powder Room: mirror over Kohler sink set in custom vanity. 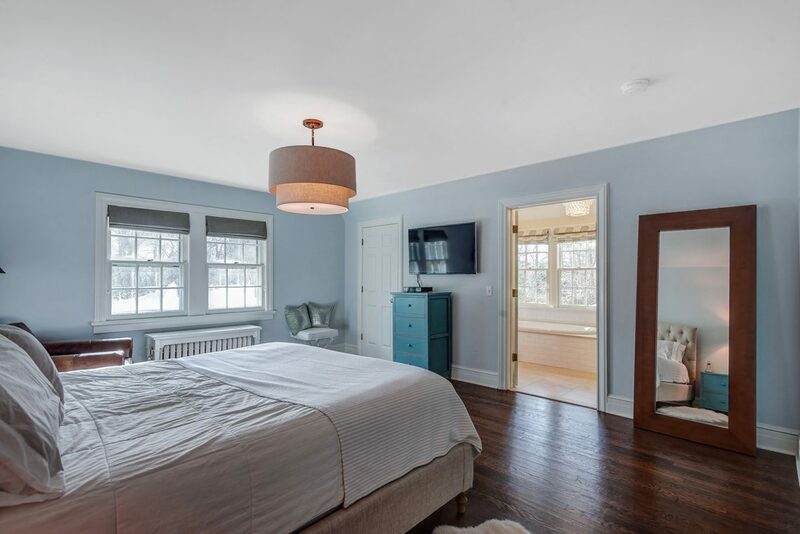 Luxurious Master Bedroom: 2 walk-in closets and an additional closet, hardwood floors, light fixture, attached West Elm mirror, 3 windows with window treatments, wired for flat screen TV, double doors open to new spa-like Master Bath. New Spa-like Master Bath: radiant heated floors, huge shower with handheld sprayer, seat and niche for products, BainUltra Air Jacuzzi, 2 new Pella windows with window treatments, lighting fixture and mirrored medicine chest over double sinks set in granite over custom vanities with distressed white cabinets. 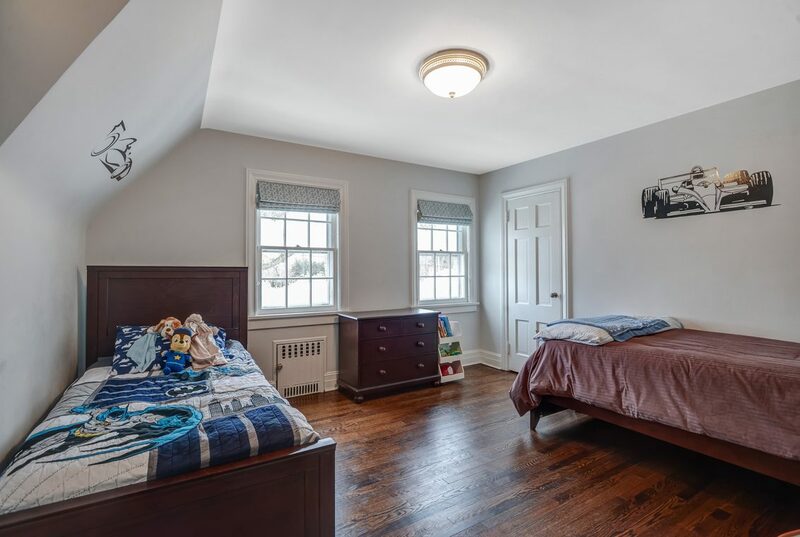 Bedroom 2: hardwood floors, closet, 2 windows with window treatment. 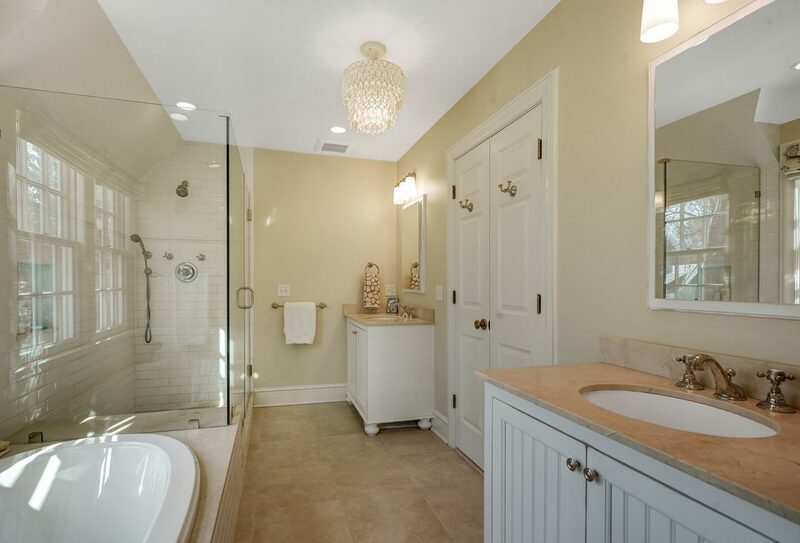 New Full Bath: wood look tile, shower over tub, lighting fixture over mirrored medicine chest over sink set in vanity. 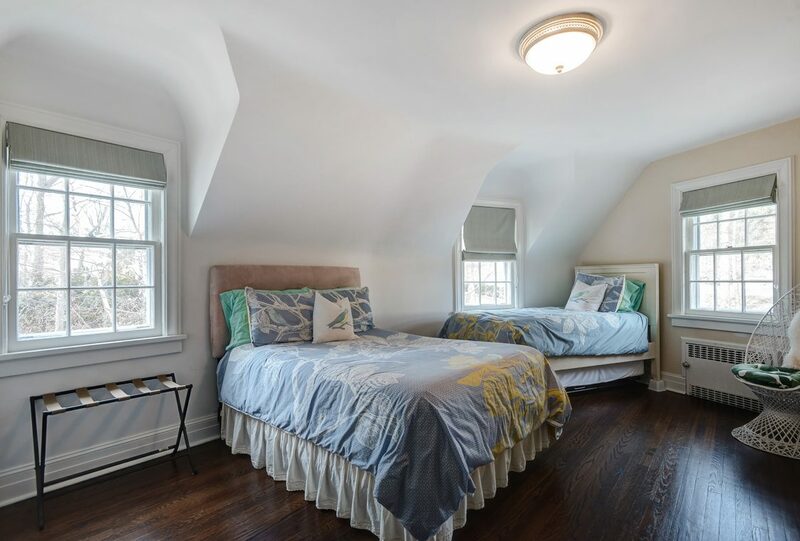 Bedroom 3: hardwood floors, new closet, light fixture, 3 windows with window treatments. 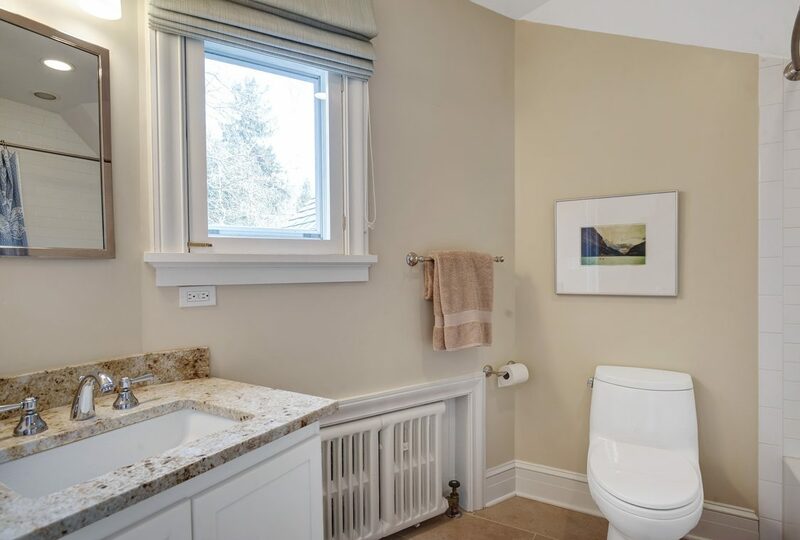 New Full Bath: radiant heated floors, shower over tub, lighting fixture, window, mirror over sink set in granite countertops, access to open space over Library. 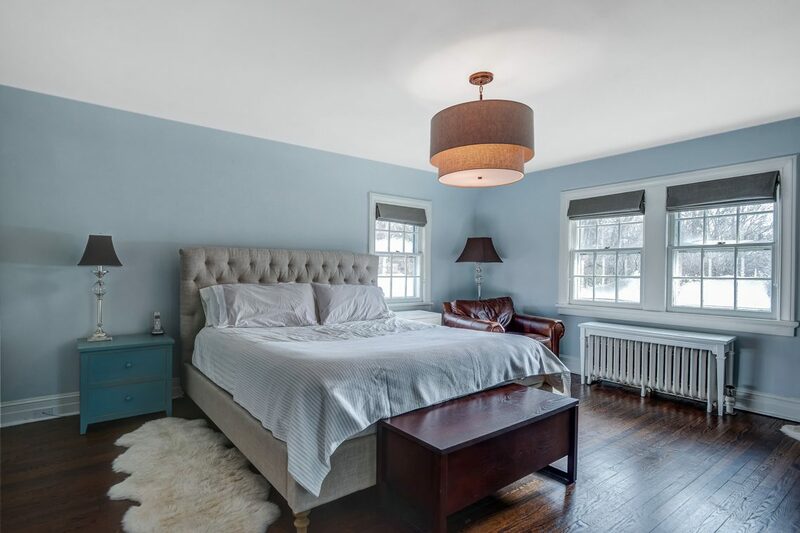 Bedroom 4: hardwood floors, chandelier, light fixture, 3 windows with window treatments, huge closet. 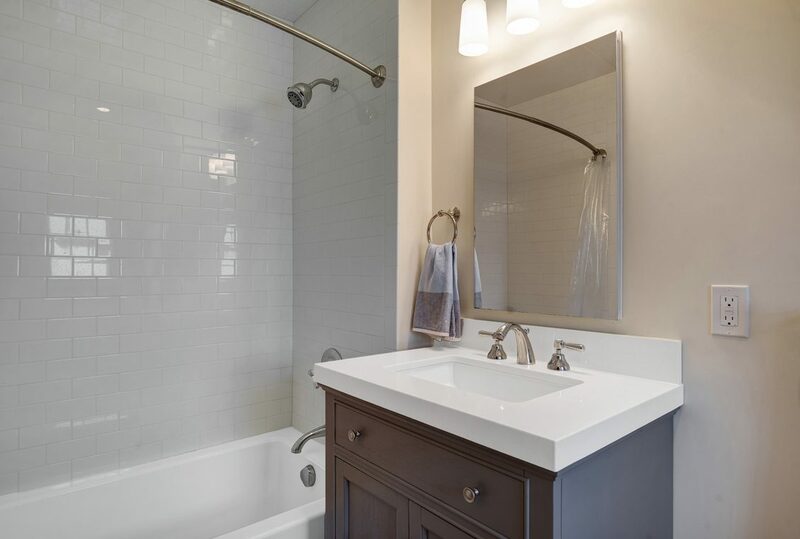 New Full Bath: shower over tub, light fixture over medicine chest over sink set in quartz countertops. 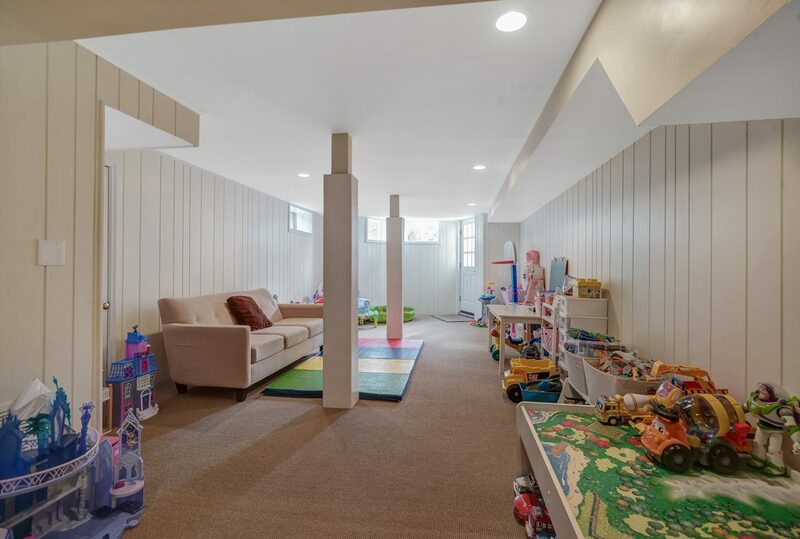 Beautifully Finished Recreation Room: with incredible natural light as well as walkout access to the beautiful yard with a Redwood play set, recessed lights, fireproof door to garage. 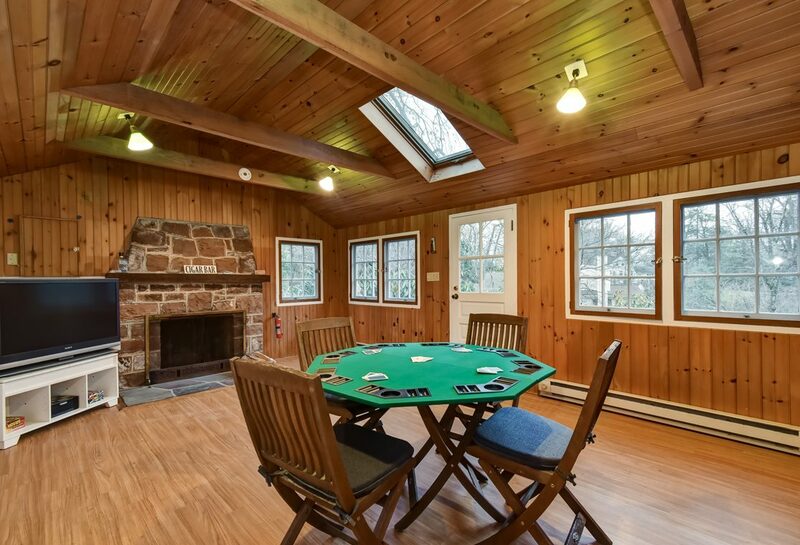 Skylights, electric heat, 6 windows, light fixtures, fireplace. Sonos sound system on 1st Level, Master Bedroom and Lower Level. 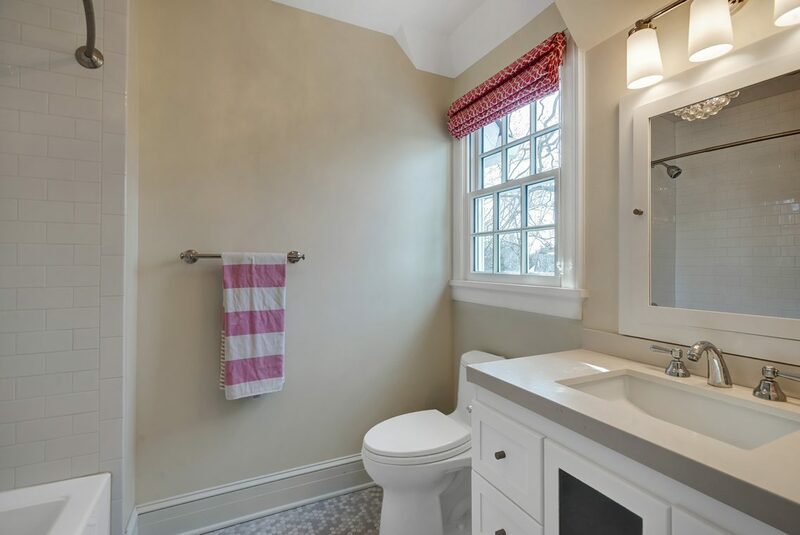 All new bathrooms, hardware from Hardware Designs, Toto commodes. 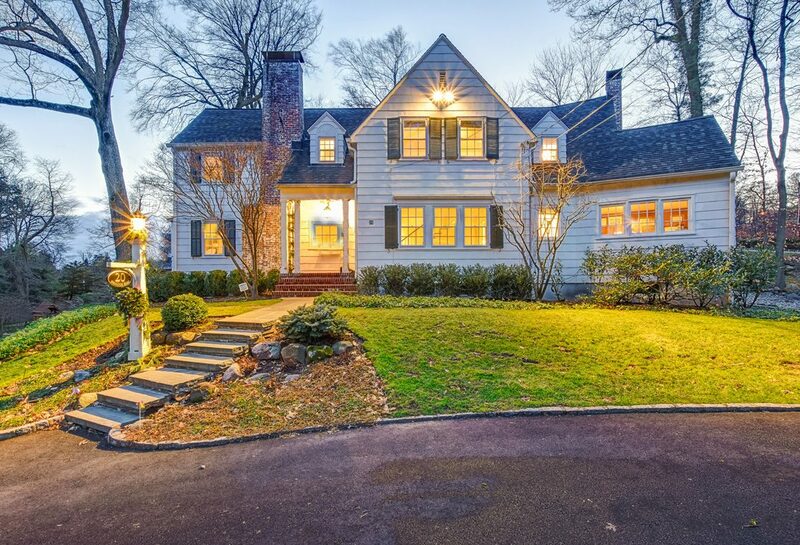 Included: All light fixtures, window treatments, Redwood playset.